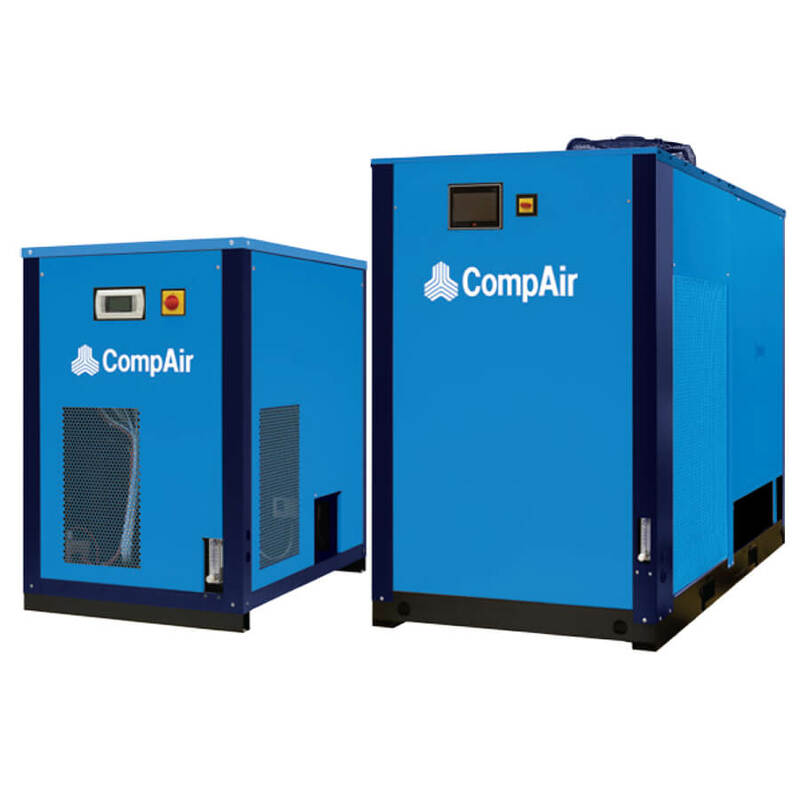 This CompAir range of hybrid dryers use innovative combined refrigeration with adsorption dryer technology to produce an energy efficient compressed air treatment range of dryers. The major advantage over other compressed air drying technologies is its contribution to energy-efficiency and overall running-cost reduction. Less overall power consumption, less purge-air consumption, constant and stable outlet pressure dew points and reduced operating and maintenance costs characterise this new CompAir dryer range. The unique combination of refrigerant and adsorption drying technology enables high quality compressed air to be provided to the end-user at low energy consumption levels.In this drying process untreated, humid compressed air is initially confronted by a pre-filter protecting a traditional, but modified refrigeration circuit. The majority of the water vapour is effectively removed from the incoming air in this first stage. The second stage consists of a highly compact desiccant drying stage, protected before and after by high-performance oil/water aerosol and particle removal filters, which serves to further reduce the moisture content of the air to a standard dew point of -40°C. Finally, clean, dry compressed air exits via the patented air/air heat-exchanger to be re-heated and delivered to the air distribution system. Technology exploiting both PSA (pressure swing adsorption) and TSA (temperature swing adsorption) brings together an effective and economical solution to meet the needs of the compressed air user. 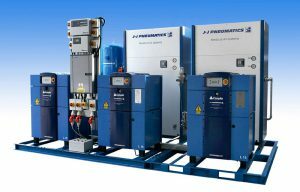 With the addition of a dew point dependent switching feature for periods of intermittent load, incorporated into the electronic controller of every CDT dryer, initial investment costs are quickly amortised and life-time costs minimised. The CDT dryers can be equipped with an optional by-pass to meet the demands of seasonal variations of dew points requirements above zero in summer and below zero in winter. In such cases the dual technology can be operated solely as a refrigeration dryer or regularly in dual combination including adsorption stage. Click to download the CompAir CDT Hybrid Air Dryer PDF Brochure. We stock a comprehensive range of British and German manufactured Air Compressors and associated equipment for all applications and budgets. Our technical support team (with 200 + years combined experience) will assist you to select the right equipment to suit your needs, specification and technical requirements. We advise on the supply of standard and high pressure Industrial Air Compressors; Lubricated and Oil-Free, and Medical systems to HTM02-01. Capacities up to 2000 cfm - 56m³/min. Please contact our Technical Sales Office to discuss your requirements and for budget prices. If you are planning a new project, require guidance on selecting equipment, or need to discuss any general or technical issues you may have with your existing Compressed Air System, our experienced engineers are here to help and assist you. We cover all aspects of specifying new projects, to the supply of Air Compressors and ancillary equipment through to installation, and on-going maintenance and support. We also provide Energy Efficiency and Leak detection reports to ISO500001, Energy Saving & Heat Recovery Systems, i-Conn Remote Data Monitoring & Reporting, and Smart Air™ Controls. Please contact our Technical Support Team for technical assistance or to arrange a site visit. Correct scheduled servicing will save money through increased productivity, efficiency and reliability. Our Service Team operate 24/7 365 Days a year providing Scheduled or Breakdown Service Support to manufacturing industries and utility services. Should in the unlikely event you have a Compressor breakdown or service issue, we have the resources, manpower and equipment to get you up and running quickly. We run a Hire fleet of electric and diesel portable Air Compressors for Emergency Hire. 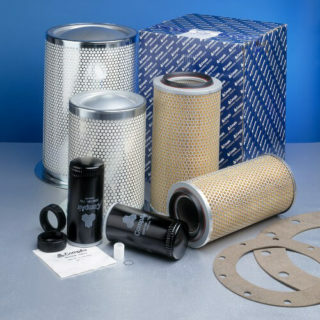 Additionally Air Quality testing to Breathing Air Standard BS4275, PSSR2000 System Compliance, Leak detection reports to ISO500001, and we are licensed by the Environment Agency (CBDU209861) for removal of waste oil and filters from your site. All our engineers are fully Compair Hydrovane Champion works trained and operate to strict Health and Safety standards and we are externally audited to ISO9001-2015 Quality Standards. 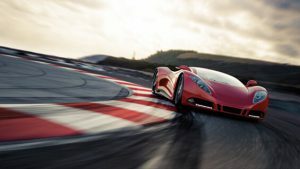 Please contact our Service Support Team for assistance.